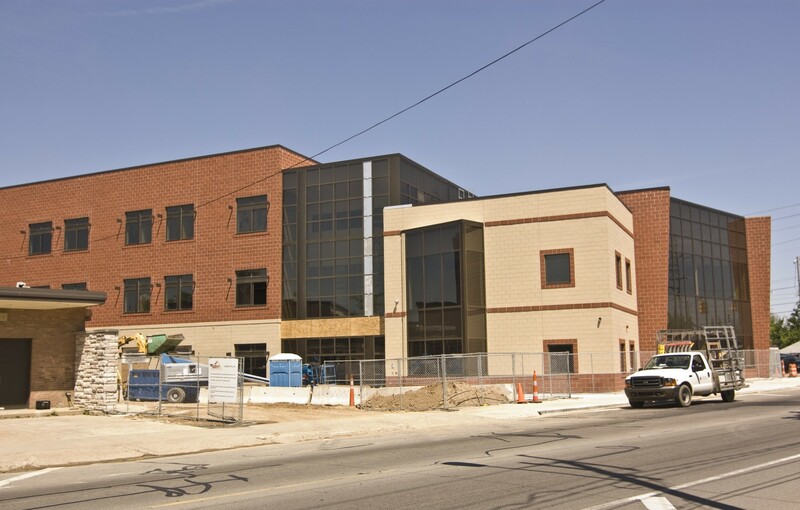 The view looks northwest across Grandville Ave. toward the the glass enclosed entrance of the school at the center of the photo. Construction materials are visible next to the current Hall School at the left, and a truck equipped with racks for window glass is parked on the street. This building replaces the former Hall Elementary School, built in 1955-56, at the same location and is the third building on the site. The new building occupies the same position on the property as the original building, built in 1892.